We are very pleased to report that WestOne is actively coming together. The penthouse roof and external walls are now nearing completion, with the building clearly taking shape. Within, the internal walls and the associated insulation has been completed on levels 10 and 9, with work beginning on level 8. Finally, the excavation for the pool and underground plant room has officially begun. 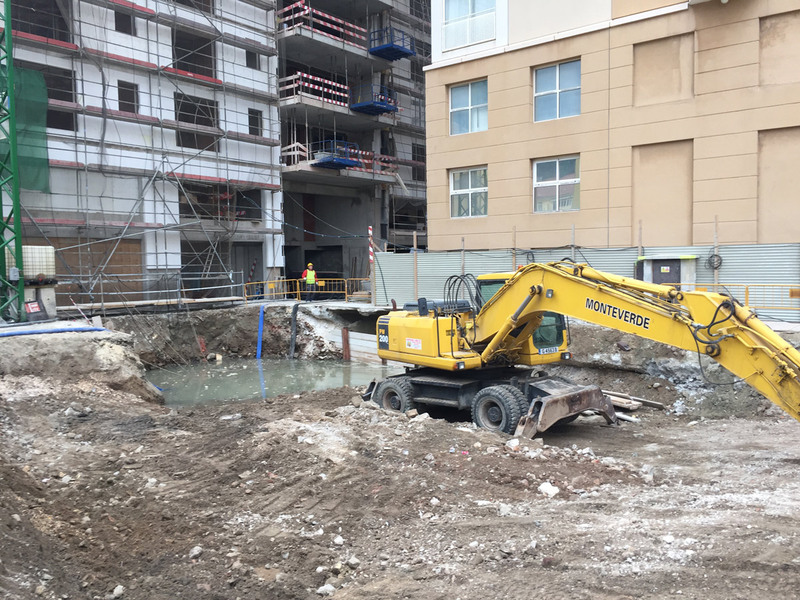 The pool area will not only be a fabulous place to relax during the summer months, but will also house the water tanks for the building, as well as the emergency generator. We are delighted to report that there have been no delays or accidents, and the project is continuing well on target! By Copy| 2017-03-06T18:08:22+00:00	March 6th, 2017|News|Comments Off on Pool Excavation Has Begun! Watch As We Fit Out Studio A in 30 Seconds! Colony Club Barbados on Meet W1’s Constructors!